The man himself, ready to do some science! 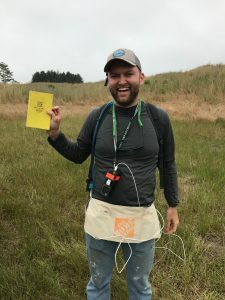 A year ago, I traveled out to Wyoming to visit a few properties managed by The Nature Conservancy and test a new field method for measuring soil carbon content. Our initial results from last year’s work suggested we were on to something. The method worked! We were able to successfully use just a simple handheld spectrometer to estimate the soil carbon content of soil samples we pulled from the ground. The spectrometer basically measures the ‘brownness’ of the soil, which, it turns out, is a good predictor of soil carbon content. We decided to wrap this methodology into a program we’re calling SCILS (Soil Carbon Integrated Landscape Sampling) – for more information check out the SCILS page. 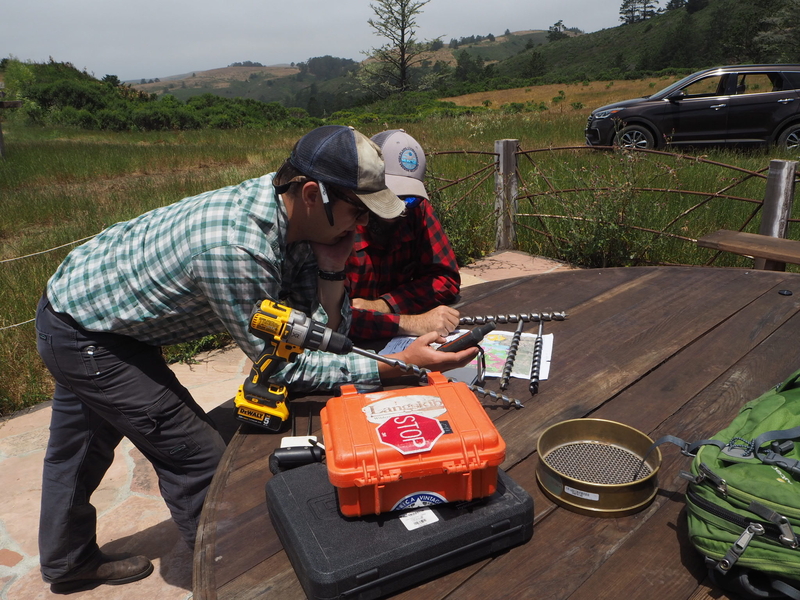 This summer we returned to the field to test the method and the device even further at the same three TNC properties, followed by a visit to the TomKat Ranch in California, where ranch managers collaborate with Point Blue Conservation Services to monitor the impacts of conservation ranching practices they’ve been implementing for several years. To move quickly in the field, we started using battery-powered drills and Collect N’ Go buckets to rapidly pull samples from the ground. Things were going great until a few of our devices broke. But with one still functional, we were still able to cover several hundred acres. Now back in New Haven, I’ll be working on fine-tuning the method and writing up a series of articles that will demonstrate our initial success. 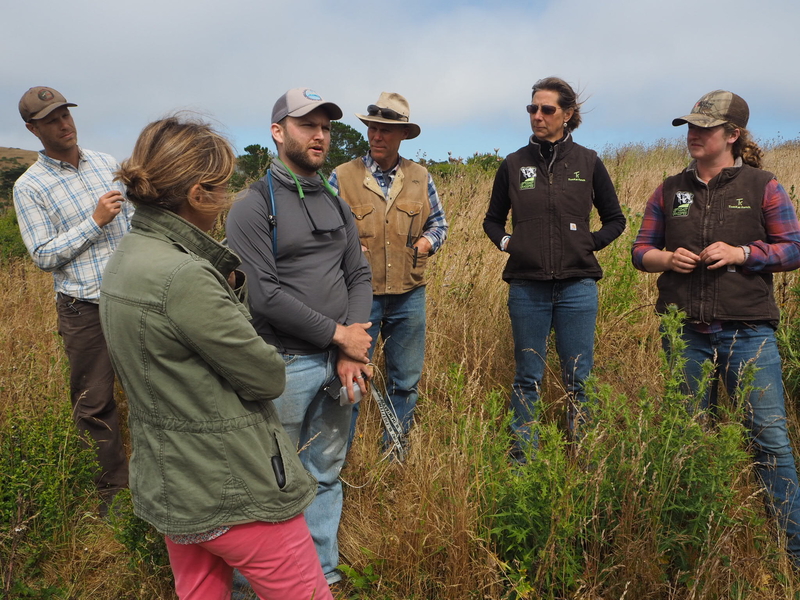 This entry was posted in Grazing, Western Research Fellows, Western Resource Fellows, WRF 2017 and tagged Dan Kane. Bookmark the permalink.